From five existing categories, SpilLess won the category “Promote entrepreneurship and innovation”. By promoting the interaction with stakeholders and by opening the way for new partnerships, this recognition allows to give more visibility to the project at an international level, boosting it for the blue economy market. The European project SpilLess - First-line response to oil spills based on native microorganism cooperation - consists of using native microorganisms to degrade oil existing in the sea, in order to fight oil spills associated with shipping accidents, oil platforms, ports or other industrial sites. Unmanned autonomous vehicles will be adapted to this project as surface, aerial and underwater vehicles that are responsible for transporting and spilling microorganisms in the affected areas in an autonomous and efficient way. It is a solution that can be used as a first-line response to those incidents, acting in a fast and efficient way, in unfavourable meteorological conditions and with low human intervention. The project, which is coordinated by the Interdisciplinary Centre of Marine and Environmental Research (CIIMAR) of the University of Porto, will last for 24 months and it's funded by the European Union, through the European Maritime and Fisheries Fund (EMFF). Besides CIIMAR and INESC TEC, the University of Vigo and the companies ACSM, Biotrend and MARLO are part of the consortium. 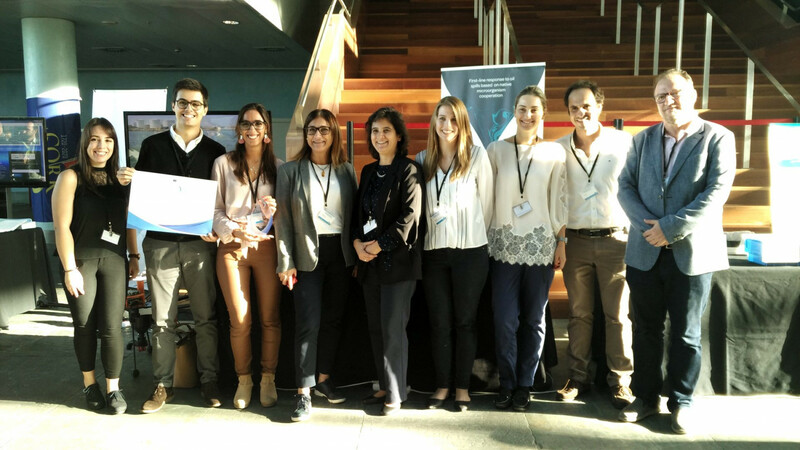 The award was delivered on 23 October at the Atlantic Stakeholder Platform (ASPC) 2018 conference that took place in Vigo.